A friend of mine, Nicolas Mouchart, is currently doing a round the world sailing aboard his 42 foot steel ketch named Perd Pas Le Nord. He left from Belgium 3 years ago, he does not sails full time and divides the journey in legs of various duration. So far his biggest achievement was to go through the North West passage in 2013, Perd Pas le Nord was the only boot to successfully doing the passage that summer. After sailing down Canada and California he left the boat in San Diego. I decided to join for the next leg which was a 3 weeks trip around Baja to end up in La Paz. 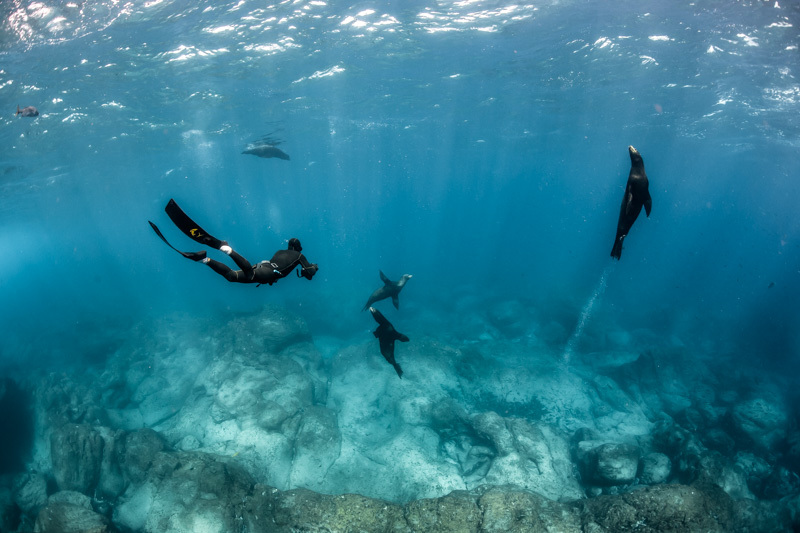 Nicolas and his girlfriend Florence are keen divers and freedivers so we planned the route with the best dive spots in mind. But this year we were not lucky, with an strong El Nino and a shorter time frame of 2 weeks we couldn’t dive all the dream spots. Benito was beaten up by 4m swells and 35knts wind. 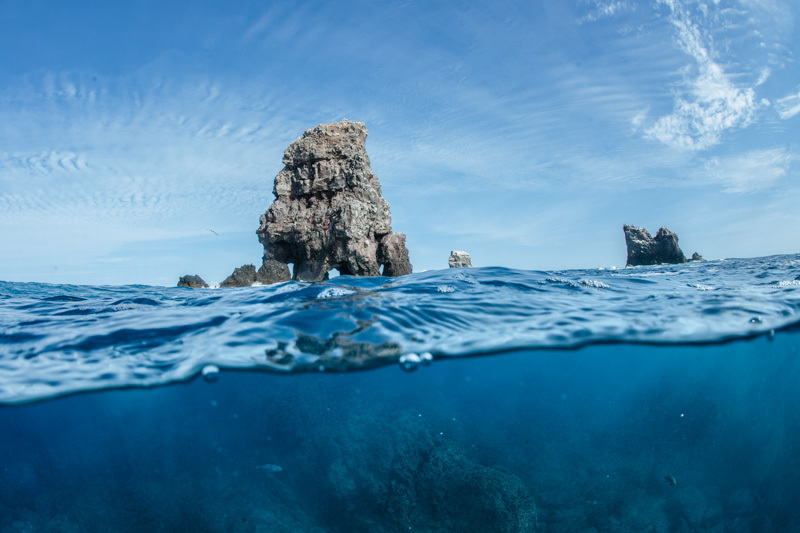 We sailed down directly to Alijos Rocks in big seas and wind hoping it would calm down when on site. The bet paid off and when we reached Alijos the wind had dropped. 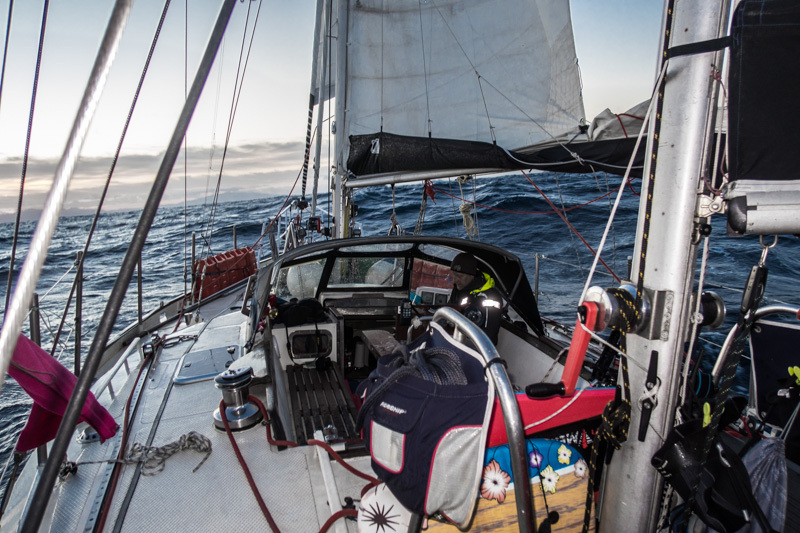 But the residual swell made our 36h stay the worst anchorage we had ever experienced! The place is stunning, some small rocks sticking out of the open ocean 300km offshore, crystal clear waters and tons of fish. We were expecting lots of sharks but probably because of the storm they stayed very deep and only a few Galapagos sharks paid us an elusive visit. 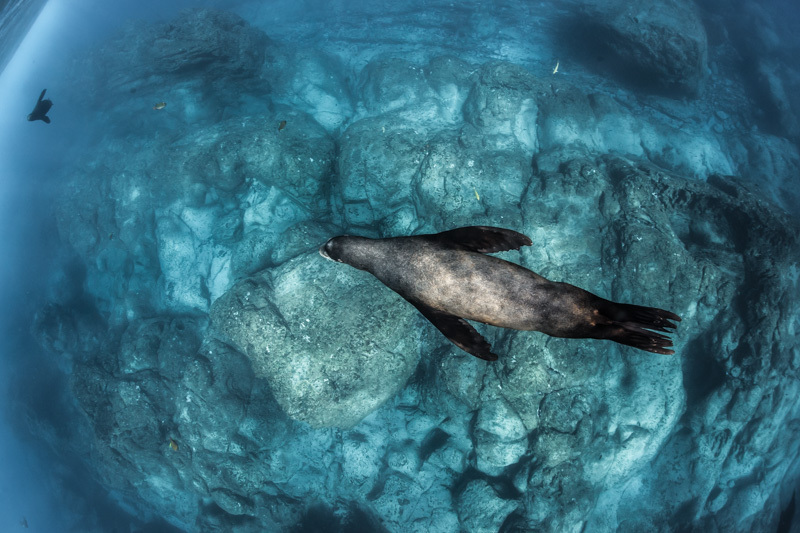 Some sea lions seem to own the place, they were very peaceful and not bothered by us at all. We left Alijos heading to Cabo San Lucas for a quick refuel and then headed to La Paz where the boat will spend a couple of months. When Nicolas and Florence left, William Winram an I stayed a bit longer in the area to dive Cabo Pulmo with the Pelagios Kakunja team to help them tagging sharks. 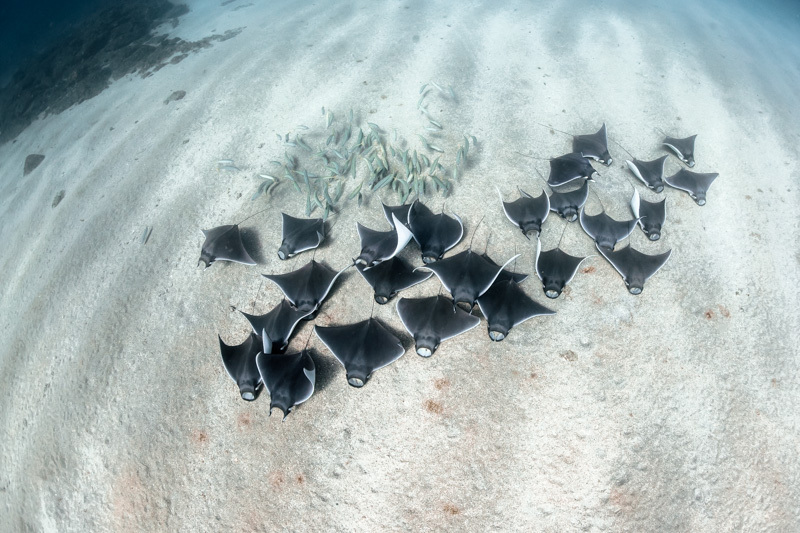 Cabo Pulmo marine reserve is simply amazing. Not only it is full of life but it is extremely well managed by the local community. The diving is strictly regulated, limited and spread over the dive spots leaving them period of total “rest”. 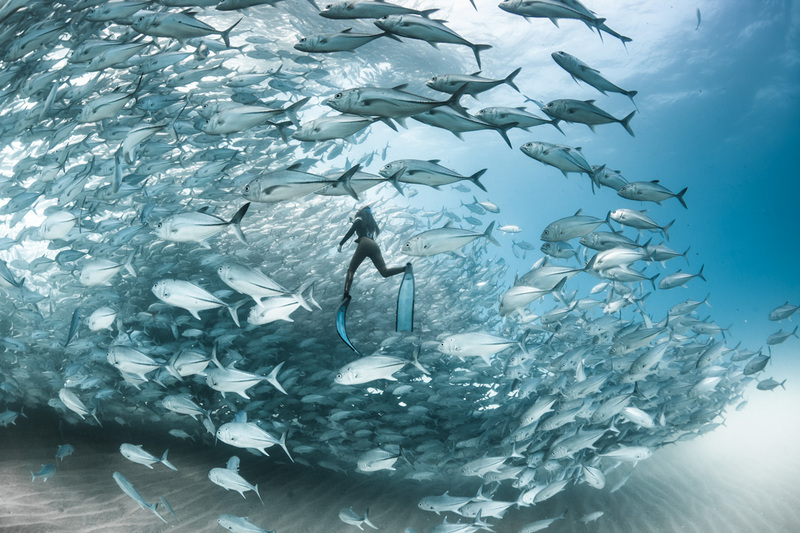 It is an example that all the marine reserve should follow: why create a marine reserve if hundred and hundred of divers are bothering the sea life and create an anthropic pressure that can sometimes be even worst than a well managed fishery…? A topic that should be raised more often. We saw only 3 shy bull sharks and we eventually tagged one. 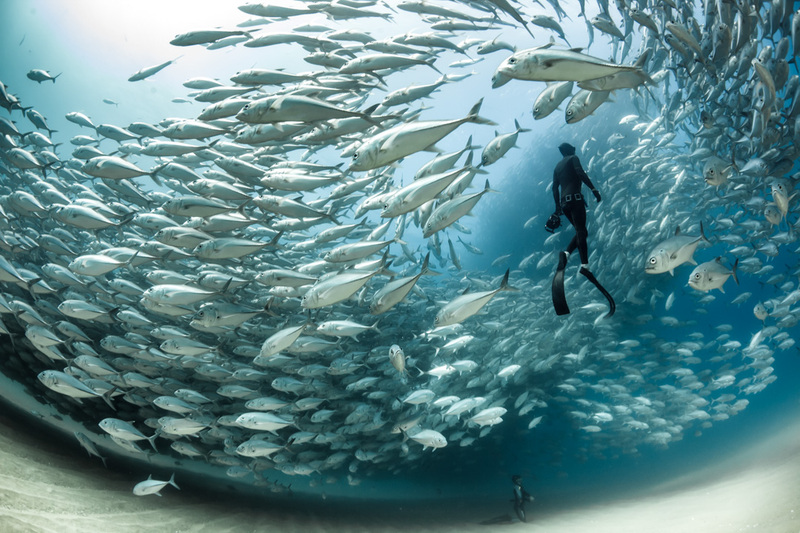 The best memory of that trip is for sure the giant school of jacks, we spent hours contemplating that tornado of life, one of my best freediving moment ever!